We believe the need for speed and reliability is an understatement when it comes to business internet. So many of our customers rely on the world wide web to do just about everything. If your connection goes down, so does your productivity! You won’t have to worry about your connection with our fiber internet. Really. We’re not kidding. DayStarr Communications offers competitive prices with its fiber internet speeds from 250M to 1000M (1G). 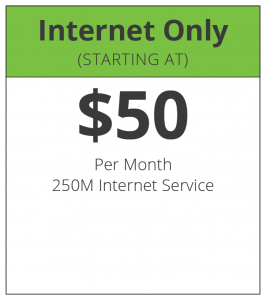 The best way for us to show you just how competitive we can be is to meet and talk about how you use the internet, and take a look at what kind of “deal” you’re getting from your current provider. If we can’t beat it, we’ll tell you. There’s nothing more frustrating than losing internet connection or having slow internet when you need to get things done. Don’t let that happen to you. Contact us today.